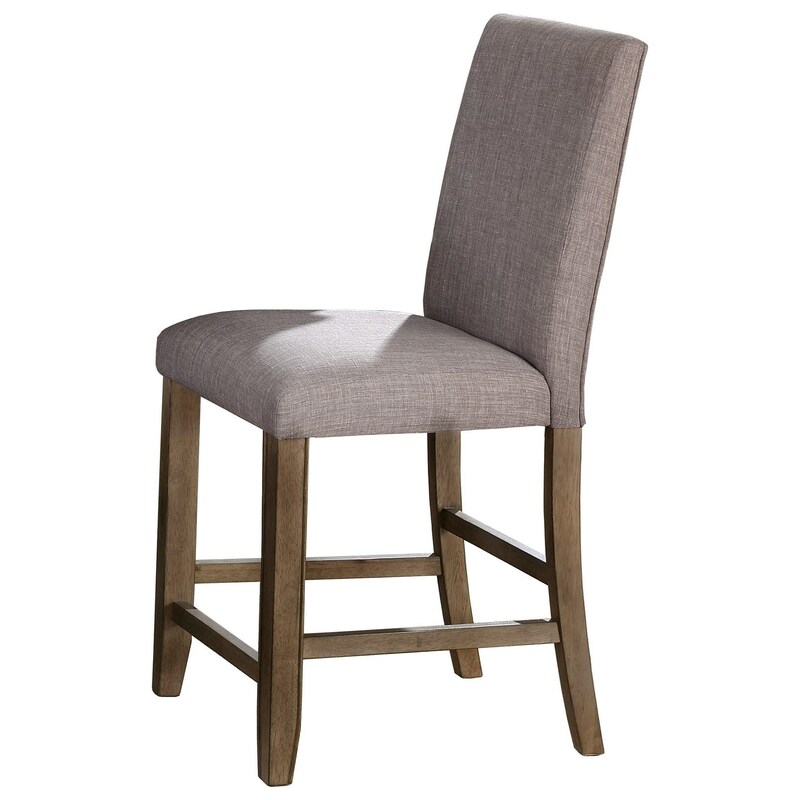 This classic counter height stool draws inspiration from the classic Parson's chair. The seat and slightly curved backrest are upholstered with a light grey fabric. The block straight legs and saber back legs feature a light finish that matches the upholstery perfectly. The Manning Casual Counter Height Stool with Nailhead Trim by Crown Mark at Miskelly Furniture in the Jackson, Pearl, Madison, Ridgeland, Flowood Mississippi area. Product availability may vary. Contact us for the most current availability on this product.